1. 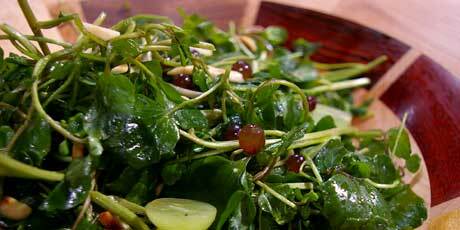 Toss the greens with the oil, vinegar, salt and pepper, to taste. Arrange on a serving platter and scatter over the almonds and grapes. Serve.